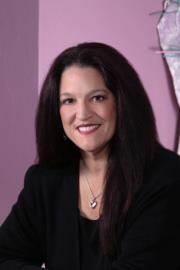 I have been a general and cosmetic dentist in DTC for over 25 years. This dynamic, interactive group meets every other month with events centered around marketing conversations. Each event focuses on different SMART Marketing techniques, tools and strategies to help businesses better understand and maximize Return on Investment (ROI) of marketing programs. Each SMART Marketing event is free to everyone. Whether you are new to marketing or are a seasoned veteran, this group will provide valuable insights into how to become more successful. Pro Tip: Bring your friends and colleagues to our events. Special thank you to our sponsor, Speakeasy Wine & Spirits. Webolutions is a full-service marketing agency that helps businesses thrive. We are in the Denver Tech Center and provide award winning SEO and Local SEO services, Denver web design and web developers, and social media and online marketing services. Contact us at 303-300-2640. Continue the conversations in between events. Follow us on Facebook, LinkedIn and Instagram.